Telephone system & PABX, Keyline Telephone System, IP PBX, Voice Mail System (IVRS),Video & Audio Conferencing System, Call Centre System, Voice Recording System, CCTV System, Projector & Conference Room Equipment, Projector, Projector Screen, LCD Plasma, Video Conference System, Headset, Structured Cabling System, Telephone & Computer System Re-location & Installation, Computer System Solution , Network Equipment Service, Router & Switch Solution. PowerTech become a NEC master dealer in Hong Kong. PowerTech was provided NEC Topaz wholesales and end users distribution in HK. PowerTech know that a high level, strongly, reliability and performance internet's network is the main communication in business today. Build on the lastest and relialility technology. Powertech provide broadband Service, MPLS IP-VPN, IPLC, IP VPN, VOIP and IDD long distance call service, calling card, and Hong Kong telephone line service. Power Phone, Free Walk, Worldwide Tone, and, are enabling global telecom coverage any time anywhere. Having been issued the Service-Based Operator License by the Office of the Telecommunications Authority (OFTA) of Hong Kong . PowerTech System Ltd became the second licensed IP telecommunication service provider in Hong Kong. With IP technology, aside from providing all kinds of telecommunication services, such as voice services (local calls, IDD calls, IP Centrex, etc. 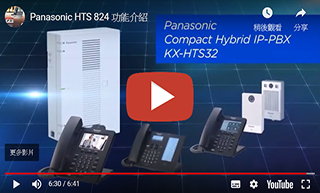 ), data services (fax, VPNS, etc), and internet services like any other fixed-line companies, it also provides the only “5802” phone numbers in Hong Kong, and will gradually launch other high tech professional services such as mobile MSN, IPTV and so on. These services offer multiple communication models for clients and enhance the competitive edge for the company.